The Wife and I went grocery shopping the other day. She likes to shop at Wal-Mart. I'm more of a Winn-Dixie guy. So, naturally, we ended up at Publix. Hadn't been to Publix in a while. So, some things were different. Actually, I knew they had a hippie food section. It's easy to spot. It's the section where college kids that dress like Linda Perry (during her 4 Non Blondes days) shop. 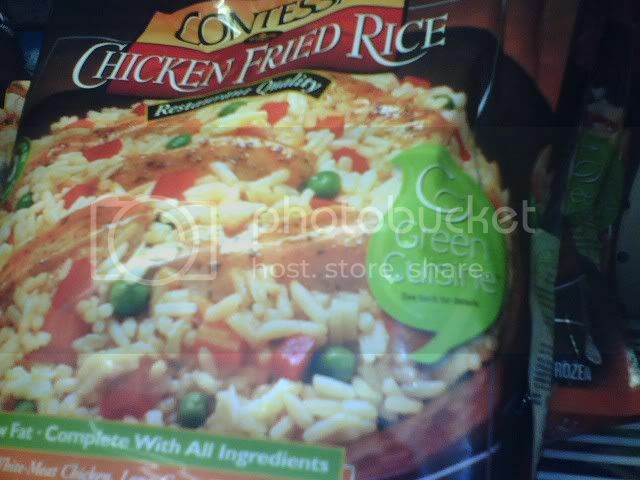 In 2007, Contessa opened the first environmentally responsible, LEED-certified frozen-food manufacturing plant in the world. Located in Los Angeles, our new plant uses advanced design and technology to significantly reduce Contessa's environmental impact. It uses half the energy and reduces CO2 emissions by 50% compared to a conventional plant built today. The facility, its processes and the products manufactured there are known as "Green Cuisine. Now, I saw all that stuff, and thought, "Hmm. I can pay more and feel good about eating frozen food when I drive my gasoline-burning Chevrolet several miles on an asphalt-covered road to a major grocery chain." The thing is, some will actually think that and totally miss the irony. I guess it's called "green" for more than one reason. Funnily enough, I feel the same way, and I work at Publix, and that is what I see all day is people buying consumerist crap, that they think helps someone in some way, when really all it is is a stupid way for dumb people to buy more crap to fill their overfull houses with.